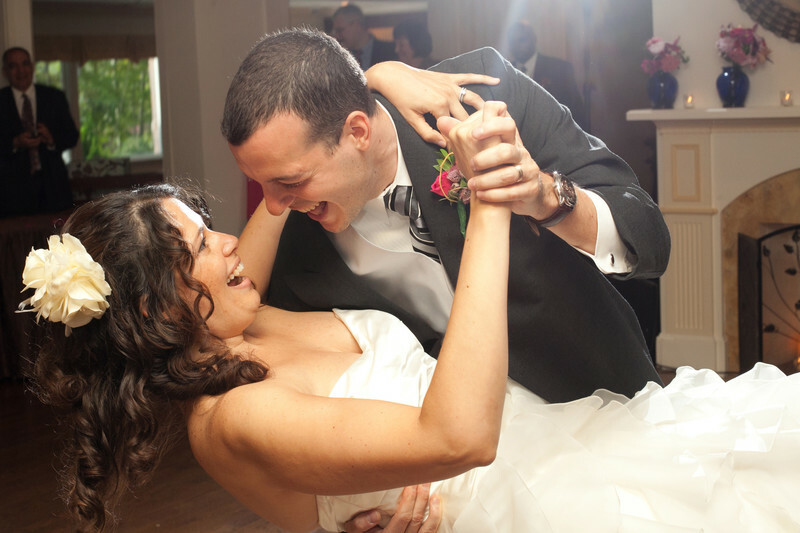 A groom dips his bride during their first dance as husband and wife at the Saphire Estates Wedding venue. They recently redid their ball room and it's a glorious venue for a wedding reception. The bride and groom laughing in this image is the emotion that I hope to capture and one of the reasons I love being a wedding photographer. You can feel how happy and in love they are by the smiles on their faces.